: is an important part of our diet. We begin the day drinking milk when we are children’s. Some people believe drinking milk increases their body weight. Milk does not contribute any fat and so you need not worry. It has been proved that people who drink milk regularly stay slim more than those who don't drink milk. Bone health: Milk and dairy products are providers of calcium, phosphorous, magnesium and protein which are all essential for healthy bone growth and development. Strong teeth: Milk is also good for strong teeth, and it helps prevent tooth decay and cavities..
Acidity Reduction: Consumption of milk products can also help in reducing acidity. Milk is a very good antacid! Drinking a glass of milk when you experience acidity or heart burn problems can reduce your acidity. Drinking milk regularly will prevent heartburn and other gastric problems. Good sleep: Drinking a hot glass of milk before bedtime can help putting you off to sleep immediately. During pregnancy: Consuming milk during pregnancy and while nursing a newborn can help in improving the calcium content. Wholesome Food: It contains a whole lot of vitamins and minerals to keep you fit, healthy and strong. A glassful of milk contains vitamin A & B for good eyesight. 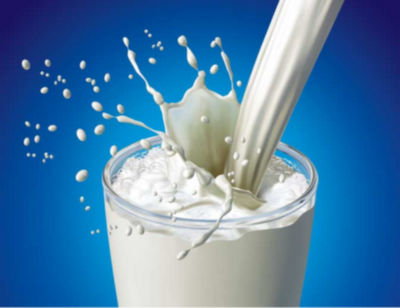 Deficiency Symptoms: Milk deficiency can cause severe anemia, osteoporosis and other related illnesses. Drink milk everyday to maintain good health.